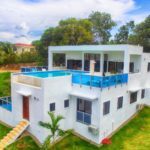 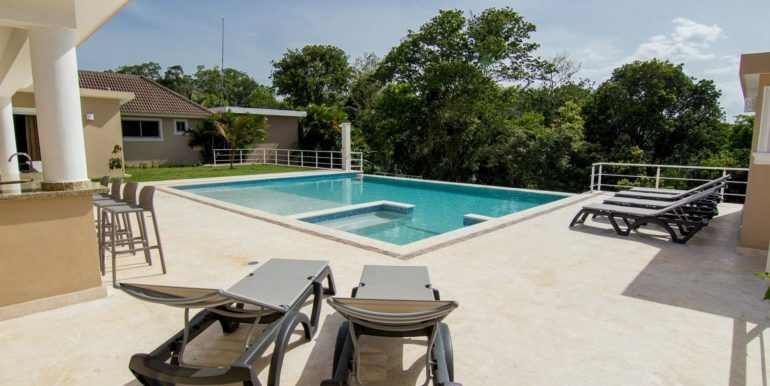 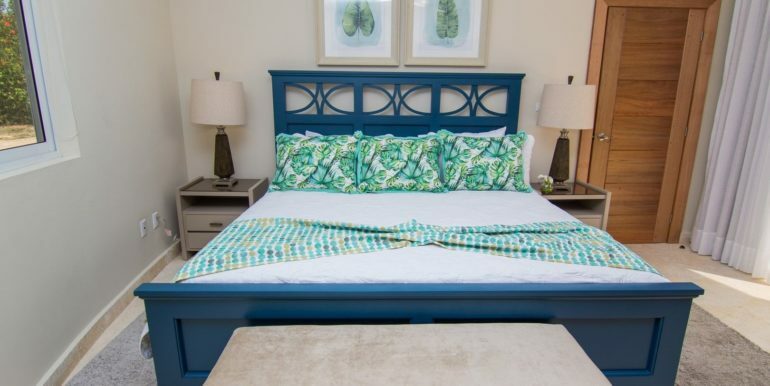 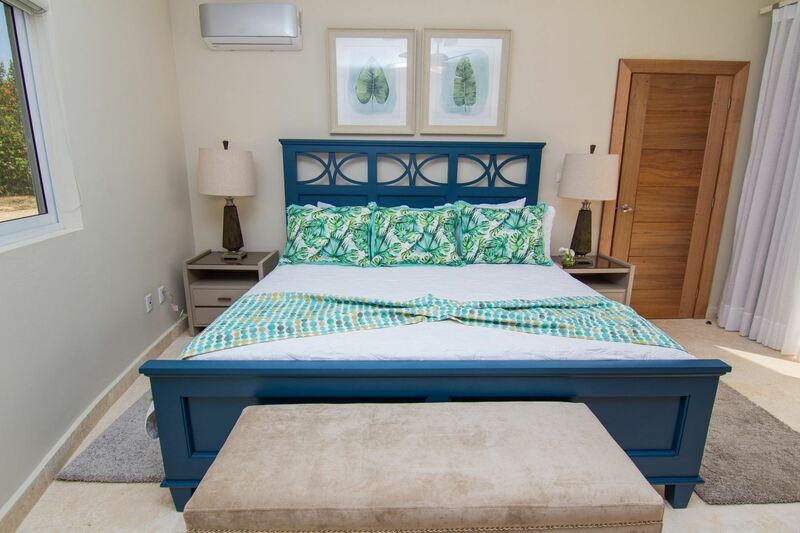 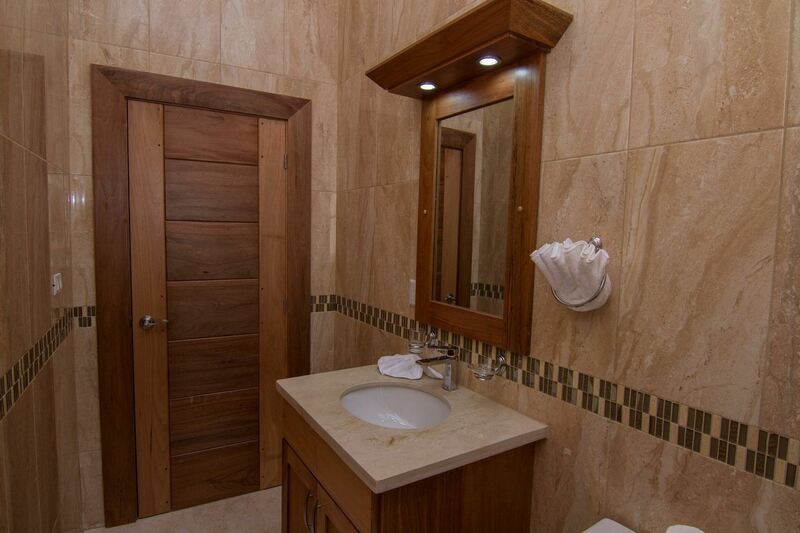 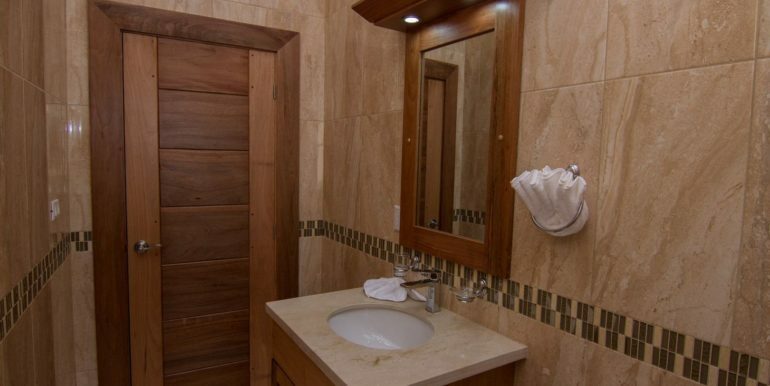 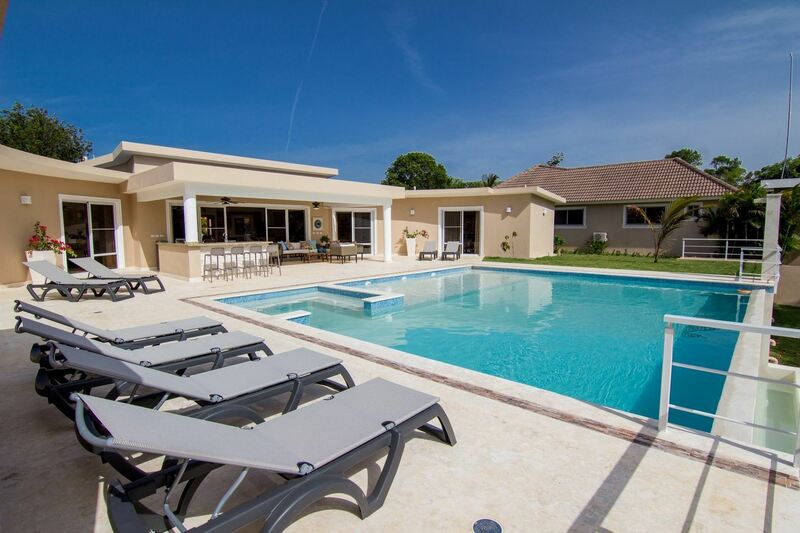 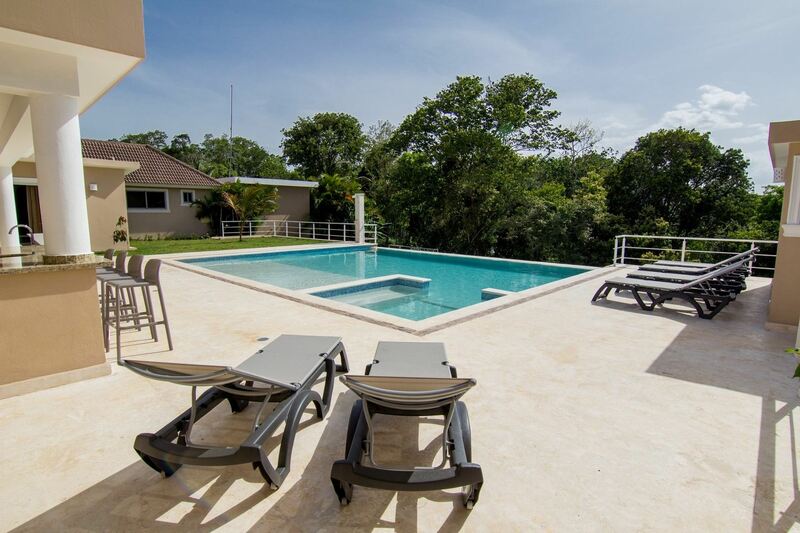 Splendidly designed with holidays in mind, this 4 bedroom villa rental in Sosua wraps a lot of amenities for those seeking to relax in their own private space. 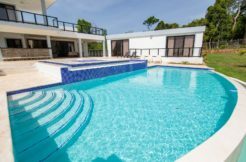 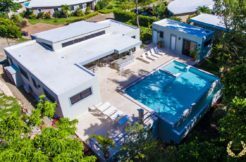 The property is built on one floor, with bedrooms on the left and right side, centering the living room and kitchen area, conveniently placed to have direct access to the pool area. 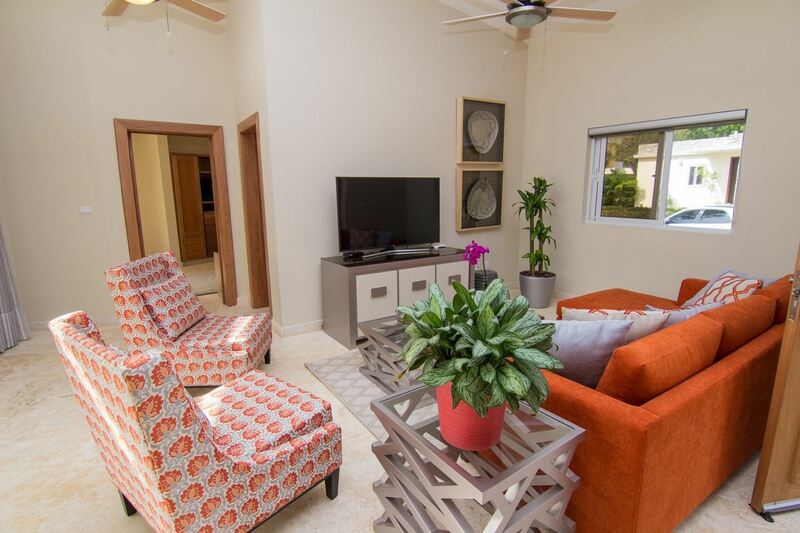 The living room is decorated with vibrant, energetic colors in the furniture upholstering, such as the orange sofa and wingback chairs. 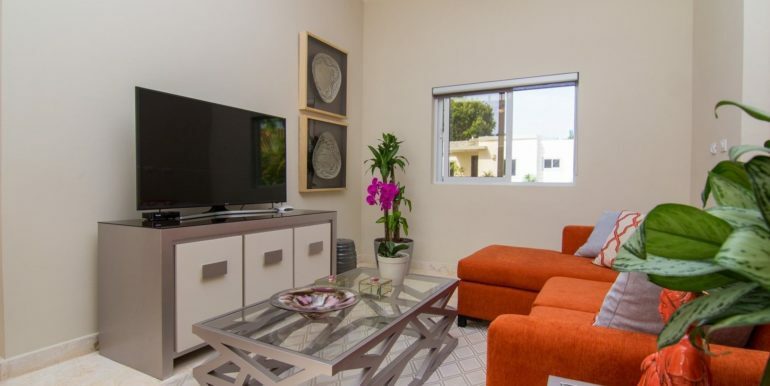 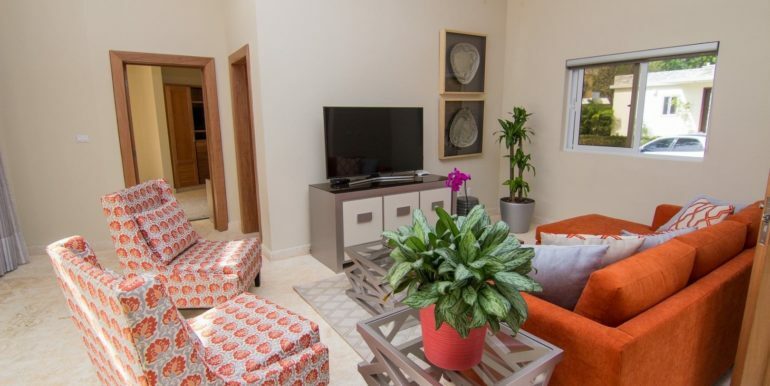 The neutral color in the walls and live plants such as the Palo de Brasil provide a harmonious balance to the home. 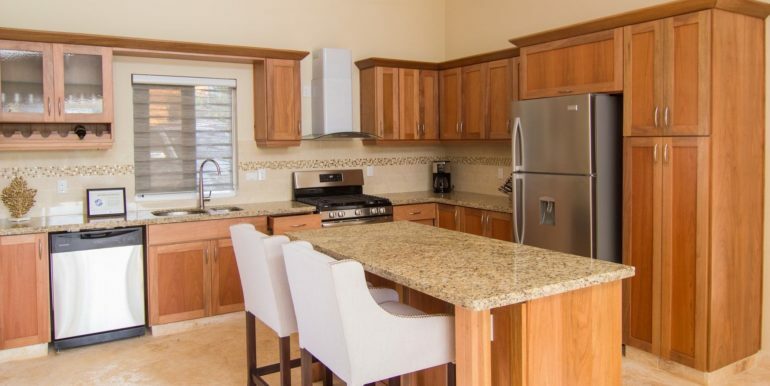 On the left end, sits a gorgeous kitchen built with mahogany wood, fitted with stainless steel appliances, a center island and high white chairs. 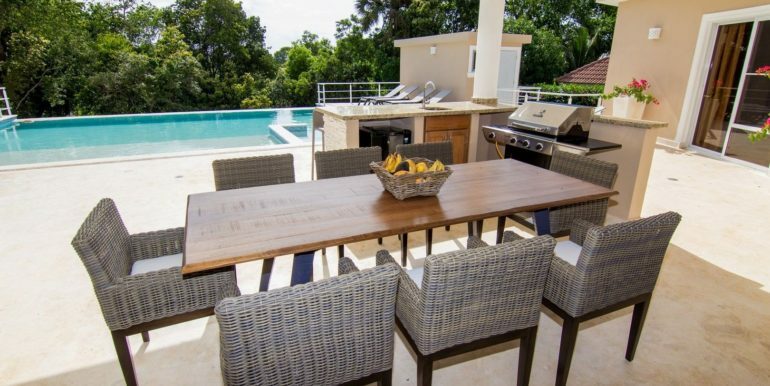 The covered terrace outside has an 8-seat dining table right next to the BBQ area and outdoor kitchen. 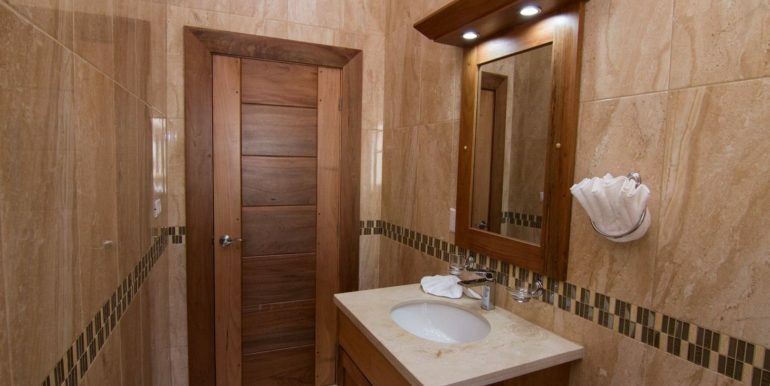 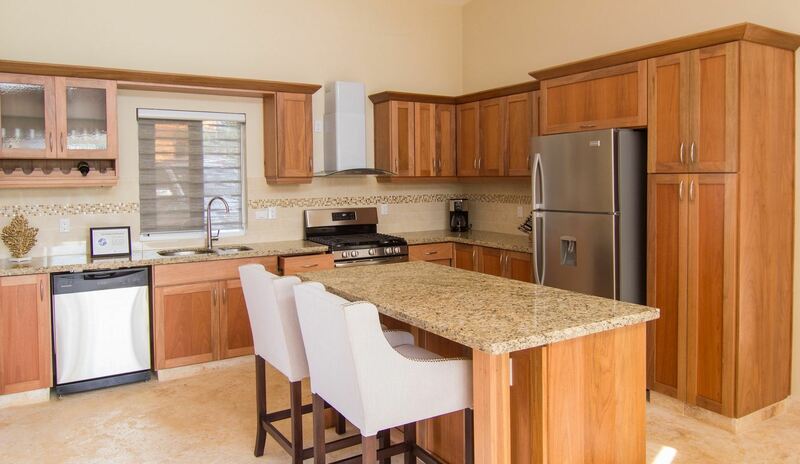 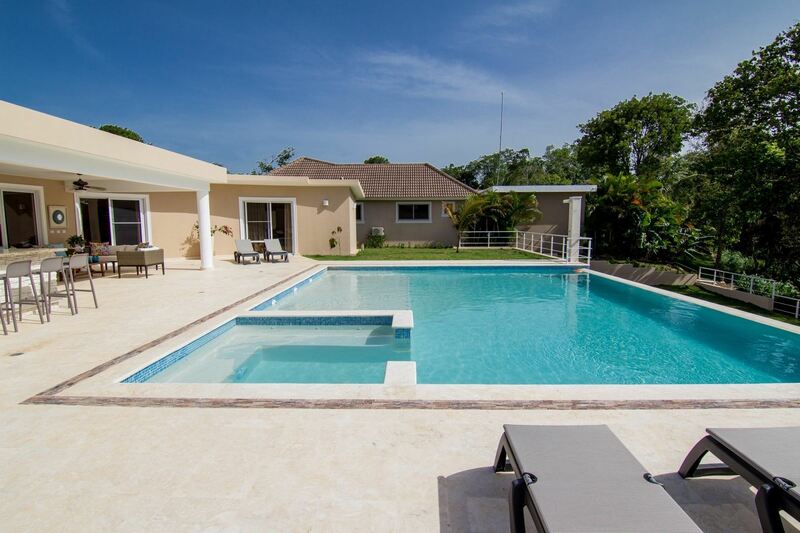 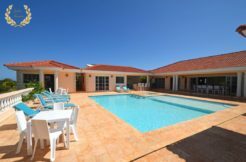 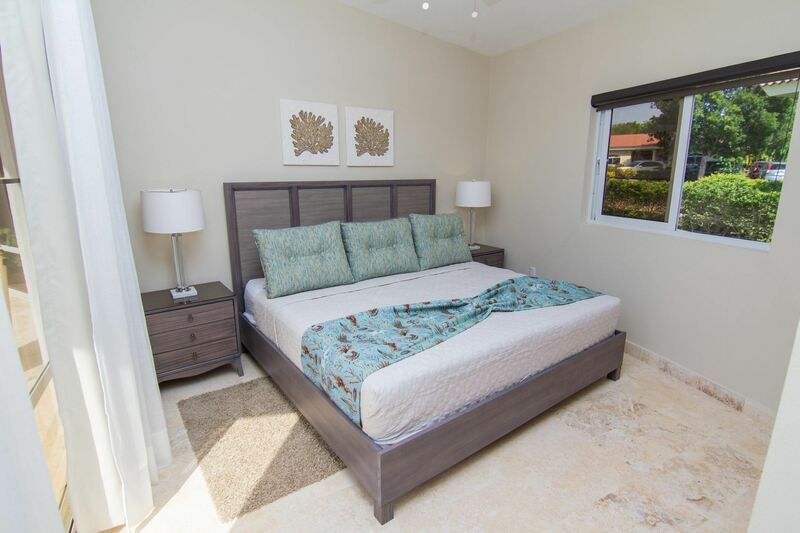 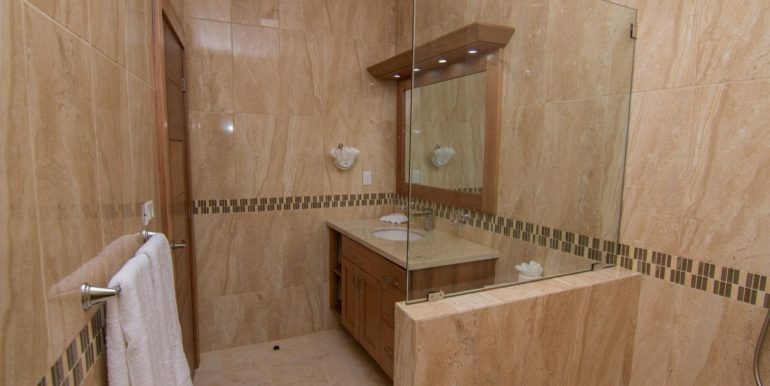 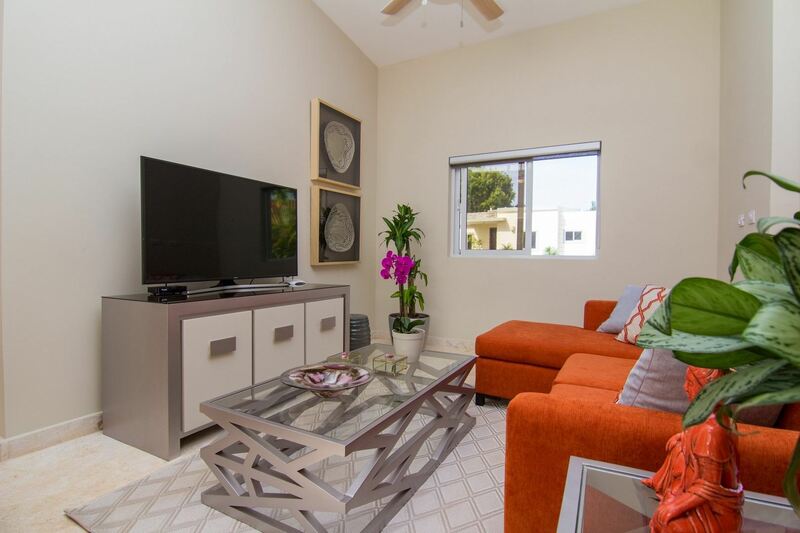 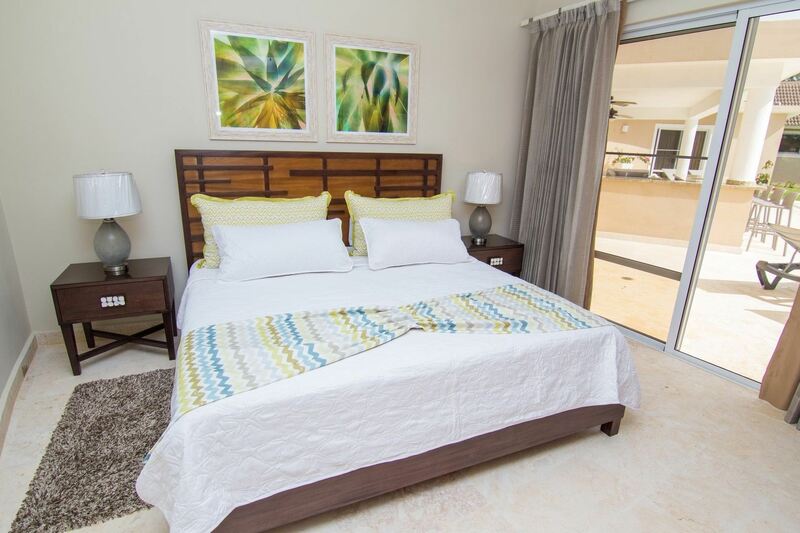 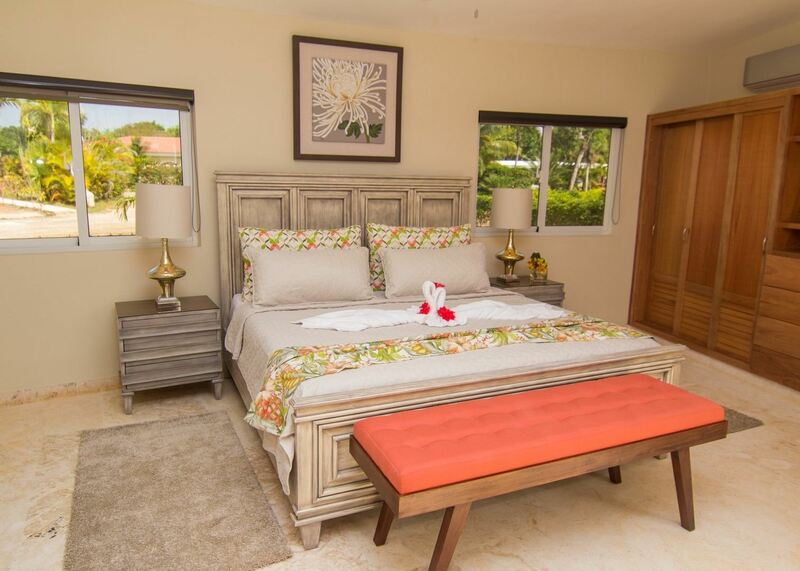 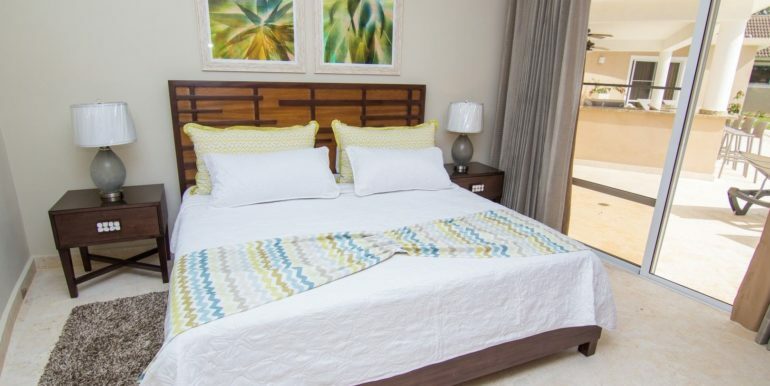 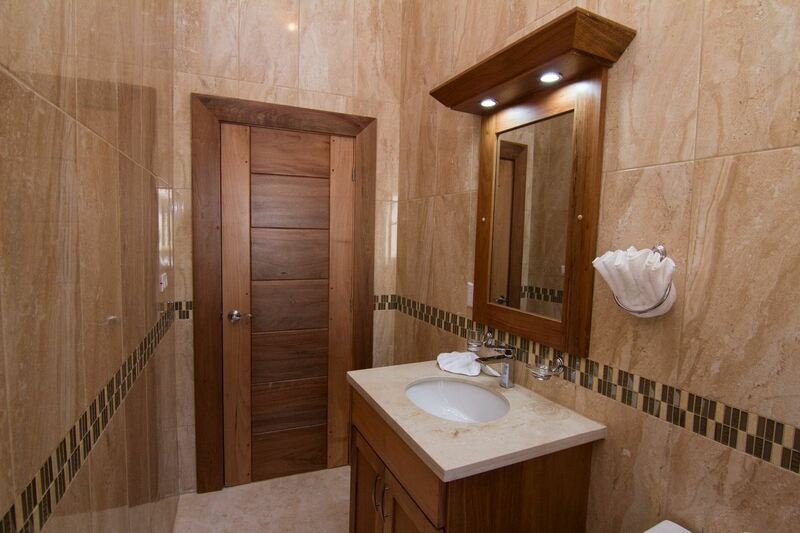 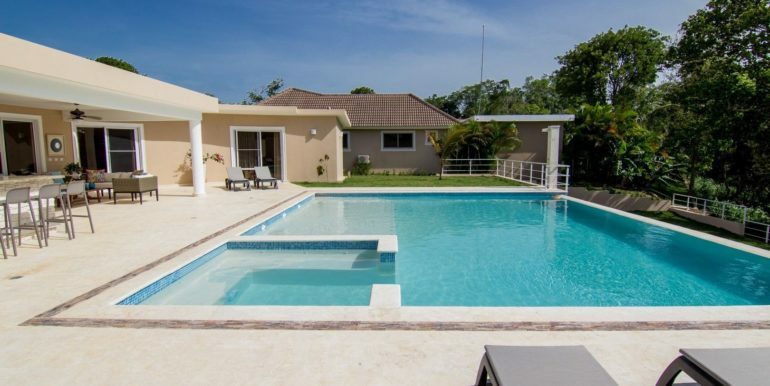 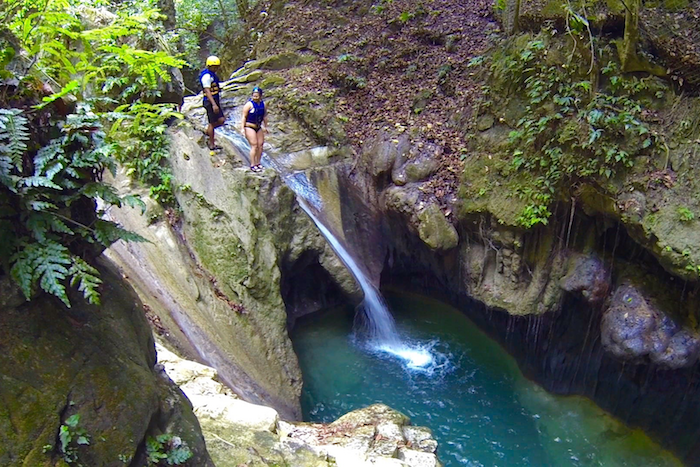 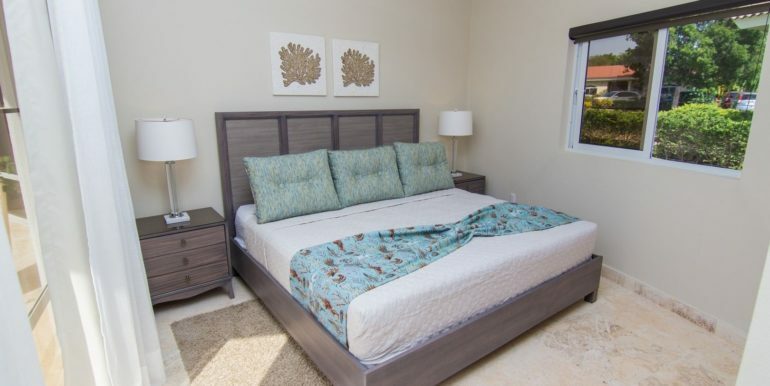 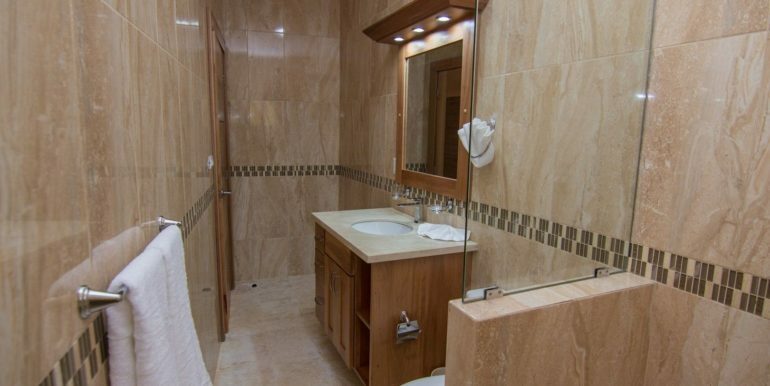 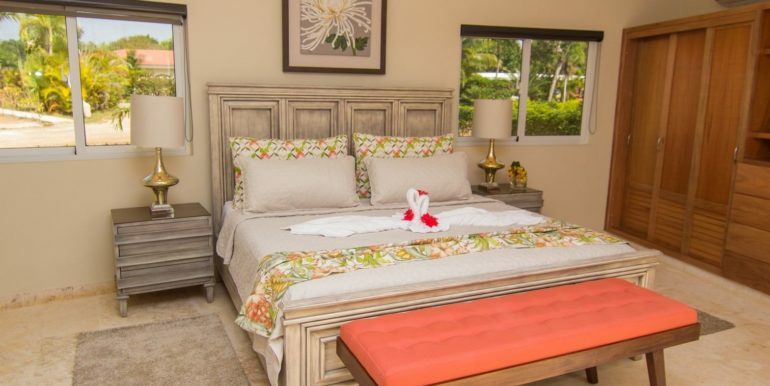 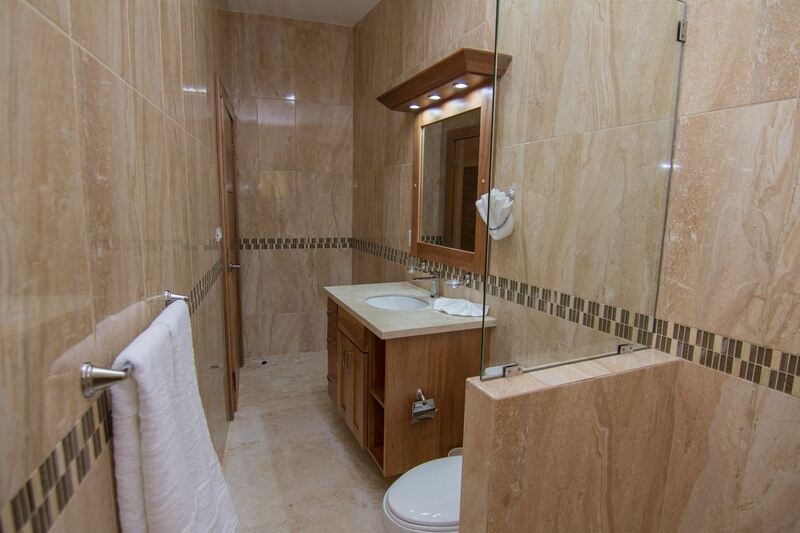 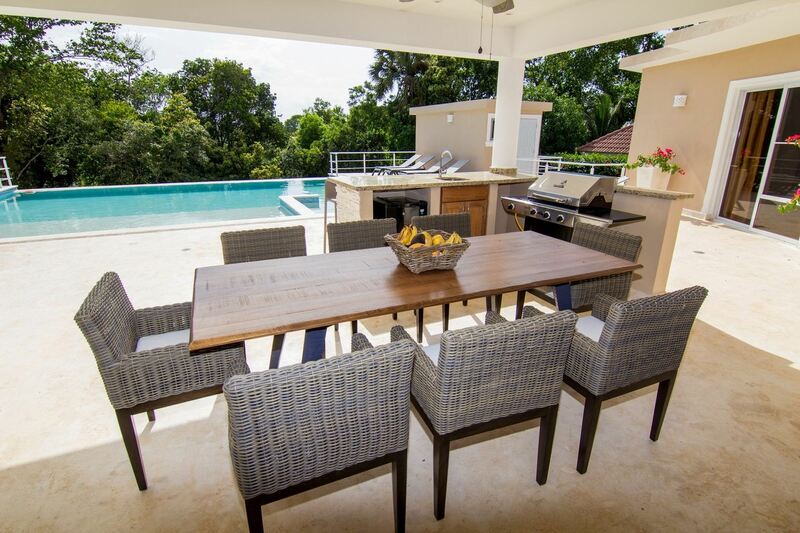 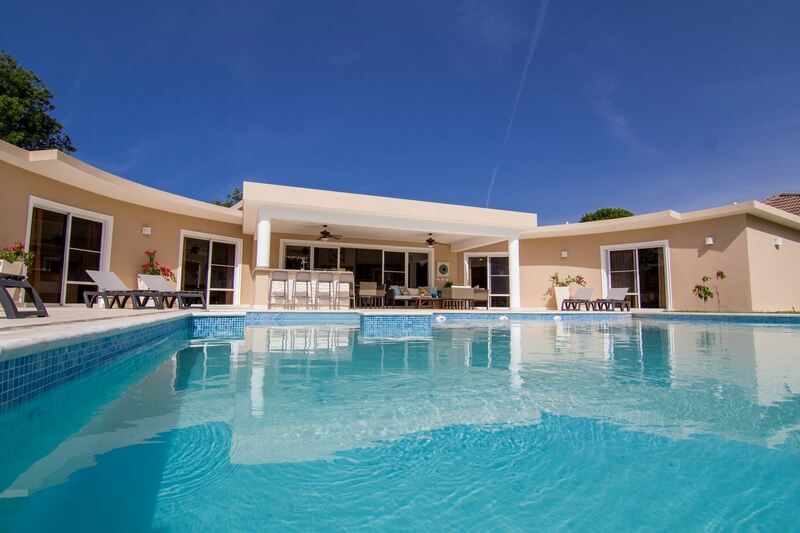 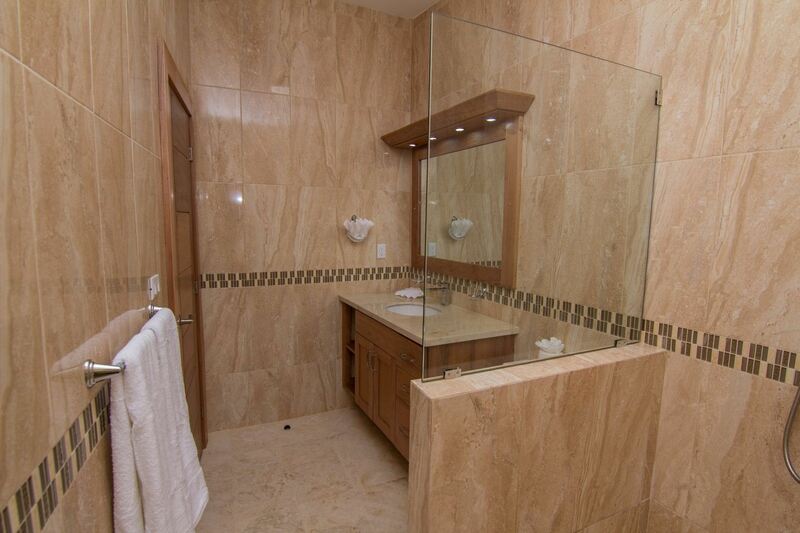 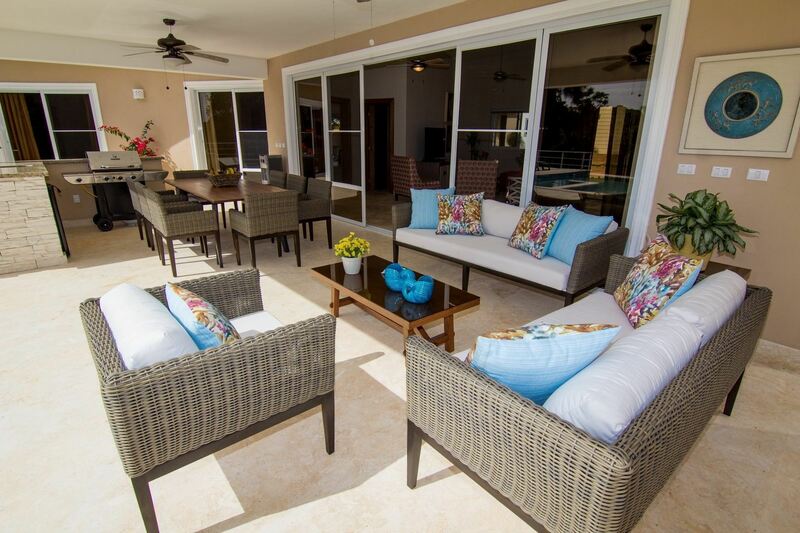 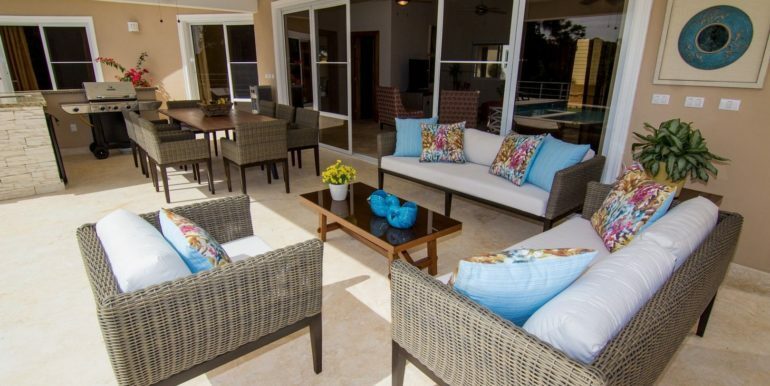 The villa location sits on a gated community just a few minutes from Cabarete and Sosua Beach. 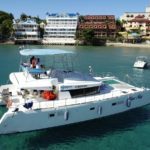 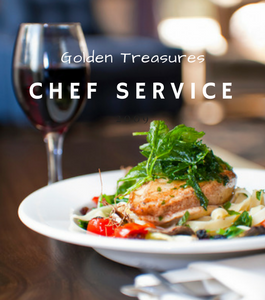 Tours are available via the concierge, also additional services such as private chef, driver and yacht party.